Special delivery! 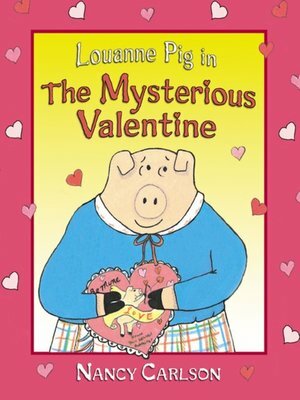 Louanne Pig is thrilled to find a beautiful valentine in her mailbox on February 14. But she's dying to know whom it's from. Is George her mysterious valentine? Is it Arnie or Harold or perhaps Big Mike? Louanne's only clue is that her secret admirer uses a green pen. Children and sweethearts everywhere will recognize the warm feelings that come with finding out someone likes you. Readers will chuckle as Louanne steals their hearts during her comical search to find out just who her secret admirer is.